New mobile operating prepared by Nokia for their smartphones is dubbed MeeGo. The operating system version is somehow different from the interface installed in Novell Netbook shown during Computex 2010. 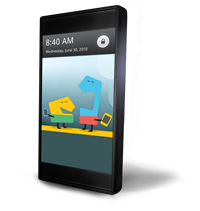 MeeGo mobile version itself is a collaboration result from Novell, Intel and Nokia for the Nokia N900 smartphone that designed with Intel Moorestown platform and ARM processor. Accordingly, Nokia is planning to release the OS in the second half this year. MeeGoo is using open source code including MeeGo API, TouchUI Framework, HadsetUI, and applications such as Statebar, Homescreen, Rockscreen, Application Launcherand imaginary keyboard. 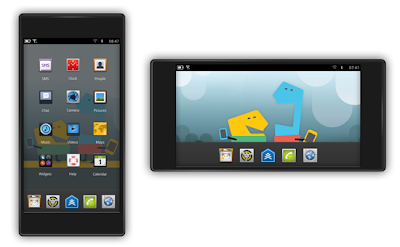 Collaborating with Novell, Intel and Nokia, the MeeGo OS will be showcased by Nokia(model:’N900′), it has the Intel platform Moorestown’ and ‘ARM’. Do you think MeeGo OS will be able to compete with iPhone Apple OS as well as Google Android software?